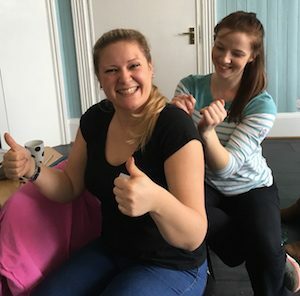 The amazing work of latest Story Massage Best Practice Winners shows the wonderful adaptability of this popular positive touch activity. It can be enjoyed by all ages – from babies to the elderly – and by all abilities. Many congratulations to our fantastic winners who have all worked with such passion and commitment to share the many benefits of Story Massage with others. 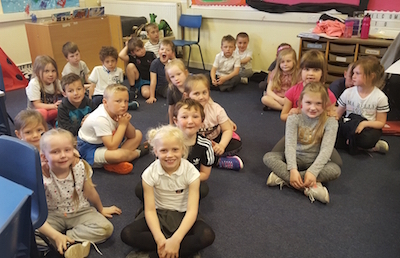 Here is a taster of some of the ways that our Best Practice Winners are using Story Massage in the home, school and community. Aly uses Story Massage-with foster children, as part of mindfulness lessons in mainstream schools and with her own mother with dementia. 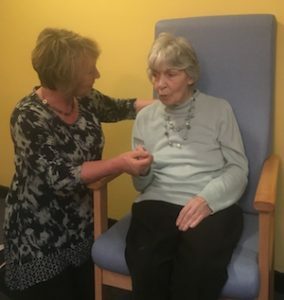 Read more here: Story Massage for People with Dementia. 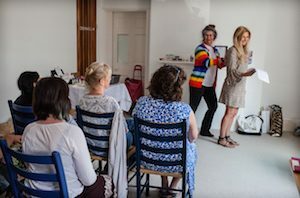 Angela has set up Health and Well-Being Hubs across North East Hastings and incorporates Story Massage in her sessions. 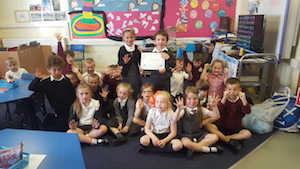 She also works as a Relax Kids Coach in mainstream schools (including working with children with Additional Support Needs such as ADHD and Autism), and with her own children at home. 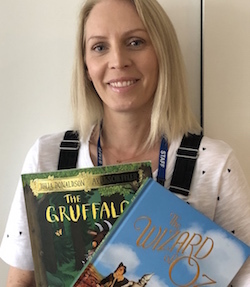 Caroline is Complementary Therapy Lead at a children’s hospice and works at a school for children with physical, profound or complex learning difficulties and disabilities. 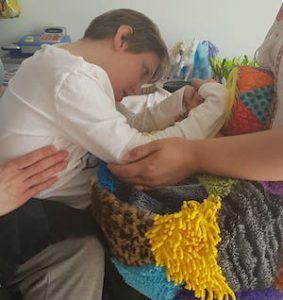 She loves using Story Massage with the children Caroline also works with adults with PMLD in a care home and finds that the residents respond very well to Story Massage. 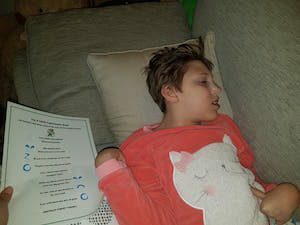 Read more here: Story Massage for Children in Palliative Care. 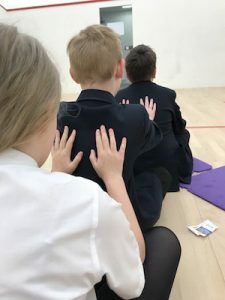 Mandy uses Story Massage as part of her Relax Kids sessions in mainstream schools, with groups of teenagers to help with anger issues and as part of weekly adult relaxation classes. 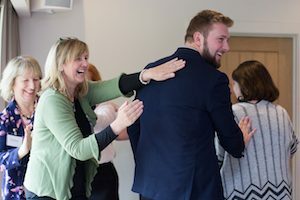 Jayne finds that Story Massage brings fun and connection at networking meetings, conferences and team bonding sessions. Read more here: Story Massage for Networking. 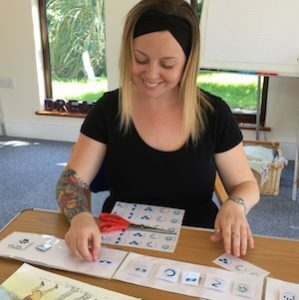 Sally uses Story Massage within her work as a Massage in Schools Instructor in mainstream schools, as a follow-on to baby massage classes, and as a Young Person’s Support Worker for 3-18 year olds who have Additional Support Needs. 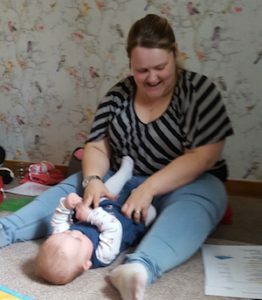 Read more here: Benefits of Story Massage for Babies. 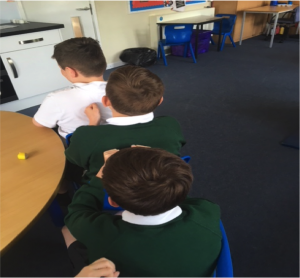 Simone enjoys Story Massage in her work as a massage therapist at a Special School, working with pupils (and staff) as group sessions and on a one-to-one basis. 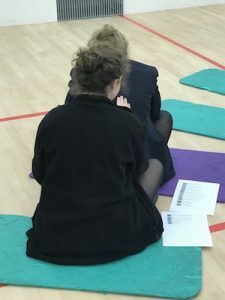 Una is a mindfulness and well-being coach working in mainstream schools. 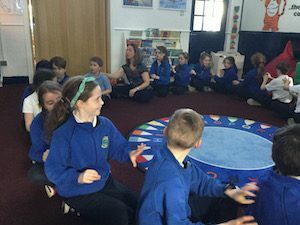 She also uses Story Massage with children with autism and their parents in a regular Little Seeds group, and even with her daughter’s Irish dance group to prepare for competitions. Read more here: Story Massage for Emotional Well-Being.